A recent letter writer commented on “…the religion of Darwinism, whose faith rivals that of any fundamentalist.” It’s important to note that the theory of evolution (theory meaning a coherent explanation of all observations, not a guess or hunch) does not meet any anthropological definition of religion. Such definitions always include the term supernatural, which Darwinian evolution is not. Nor is it a matter of faith, since scientific findings are based on empirical evidence, not magical thinking. Key point: evolution by natural selection is not “just another belief.” It is one of the most well-supported theories across every field of science (from Anthropology to Zoology), and the foundation of our understanding of the natural world. Any “controversy” regarding evolution is cultural and political, not scientific. Darwinism is no more a religion than gravity or plate tectonics. 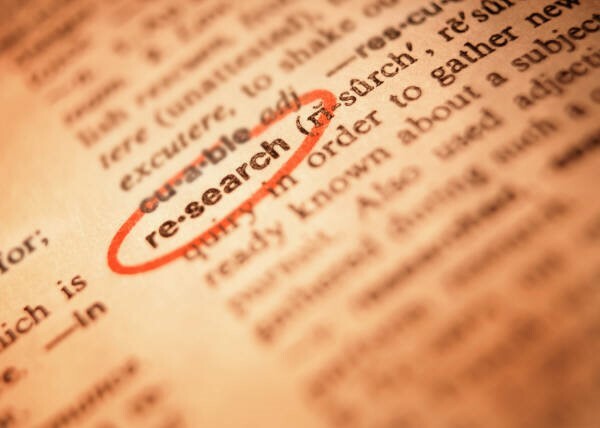 It’s true, popularizers of archaeological research tend to use a lot of words like mystery, secret, adventure, explore, discover, unknown, and decoded. Especially decoded; I personally use three documentaries in my classes that contain “code” or “decoded.” There must something alluring about the prospect of cracking the code of an ancient secret mystery (see how I did that?). People who teach and write about archaeology work awfully hard to bridge the “excitement gap” between fiction and reality. We’re excited by the reality and are sometimes surprised when others don’t share our enthusiasm. As a result, we let loose a torrent of attention-getting words to liven up the sometimes mundane (but exciting!) questions of archaeological research. 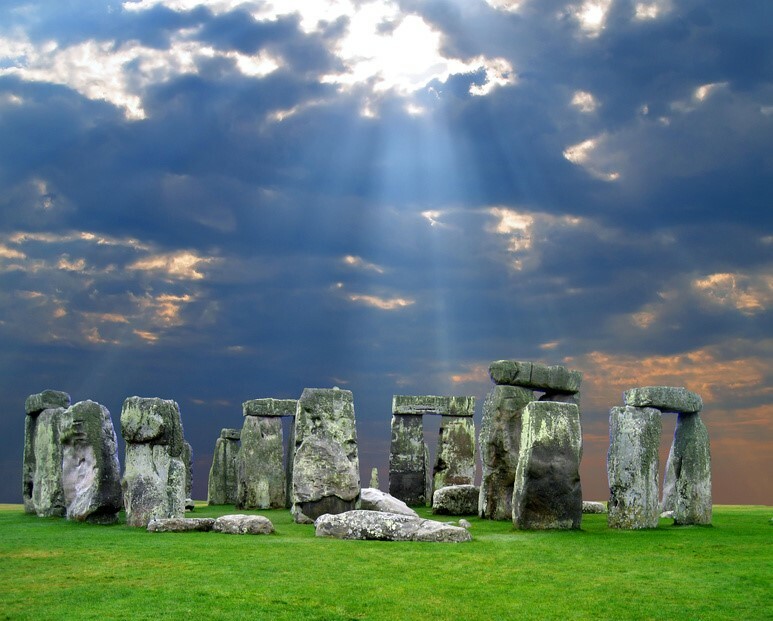 “Readers looking for something fascinating about the ancient mysteries of Stonehenge need to know that archaeologists have a different understanding of the word ‘mystery’ than the average layperson. For them, it is a mystery why a certain layer of sediment or animal bone is found in one place as opposed to another, not whether ancient aliens were involved in the monument’s construction” (J.D. Mason). Heck, I’m intrigued by the layers of sediment and animal bone, but the reviewer makes a very good point. If someone bought Parker Pearson’s book expecting ghosts, magic, and crystal skulls, they’d be very disappointed! I’ll keep my eyes open for compelling evidence of ancient aliens. In the meantime, I will also do my best to not overhype the MYSTERY! of real archaeology. I’m always glad to see how Google draws attention to worthy individuals with its daily Google Doodle. Today, they mark what would have been the 82nd birthday of primatologist Dian Fossey, famous for her pioneering research among gorillas. Check out the Dian Fossey Gorilla Fund International for more about her life and work. There are many, many problems with pseudoarchaeology. Keith Fitzpatrick-Matthews from Bad Archaeology excellently describes the racism of pseudoarch. Enjoy! A common observation made by critics of Bad Archaeologists is that so many of their ideas have an underlying and unspoken racist assumption: the benighted savages of distant continents and ancient times could not possibly have been responsible for the remarkable ruined structures found in their lands. Thus the walls of Puma Punku (Perú), the pyramids of Giza (Egypt), the Great Enclosure of Zimbabwe or the Serpent Mound of Ohio (USA) must have been built (or at the very least designed) by outsiders, whether they came from a more “advanced” (but nevertheless contemporary and known) civilisation, a lost continent or outer space. And if those responsible were human, they are usually described in terms that leave us in no doubt that they were white-skinned. (Ward et al. 2014. Arrows indicate styloid process). “A newly discovered metacarpal from Kaitio, Kenya, dates to 1.42 Mya and provides evidence for the evolution of the modern human hand more than 600,000 y earlier than previously documented. This bone displays a styloid process, which is part of a distinctively human rearrangement of the wrist associated with enhanced hand function when making and using tools. Prior to this discovery, the first evidence of this anatomy was found only in post–Homo erectus archaic humans. This new find documents its appearance much earlier in time and suggests that an increased reliance on manipulatory behaviors indicated by the archeological record early in the Pleistocene selected for the modern human hand early in the evolution of the genus Homo” (http://www.pnas.org/content/111/1/121). NBC and the BBC provide nice popular summaries of the article as well. The significance of our hand morphology in allowing us to manipulate our environment really cannot be overstated – you’re probably using your hand(s) to operate a mouse, keyboard, or smart phone right now! 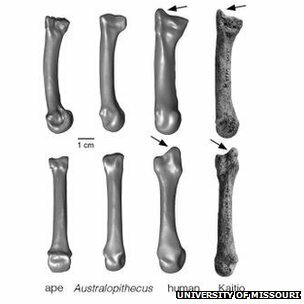 This recently analyzed bone pushes the origins of these hands farther into the past. Kate Wong’s blog at Scientific American presents a nice summary of paleoanthropology news from 2013. As you’ve probably noticed, it was an extraordinary year, with fossils, tools, and DNA revealing answers to long-standing questions – and illuminating avenues for further research. Check out Wong’s 2013 summary and imagine what we might know at the end of 2014!